A good all-round week for North America: 3DS gets an ageing arcade game, a demo and a 3DS Virtual Console game, DSiWare is graced with a music-themed take on the Plants vs. Zombies formula and Wii owners get a VC game too. Donkey Kong Jr. (NES, Nintendo, $4.99) — A rare appearance from Kong the younger. Mario has captured Donkey Kong, and you have to come to the rescue. Already released to 3DS Ambassadors, we'll have a review soon. Mad Dog McCree (Digital Leisure, $7.99) — This 'classic' arcade light gun game uses full motion video to bring the Wild West to life, which means bad acting and worse dialogue. Will it be any good on 3DS? We'll tell you in our upcoming review. Mega Man X2 (Super NES, Capcom, 800pts) — Another cracking 16-bit adventure for Mega Man, who could seemingly do no wrong in those days. Check out our Mega Man X2 review for the full scoop. The Amazing Spider-Man — He spins a web in the night, and now he can do it in 3D with a sticky slice of Activision's upcoming adventure. Devil Band: Rock the Underworld (CIRCLE, 200pts) — It's like Plants vs. Zombies but with musicians and lots more tapping. We'll have a full review for you soon. 7 Wonders II (MumboJumbo, 800pts) — You can already buy 7 Wonders II on DS but MumboJumbo's decided to put the game on DSiWare too. We expect it's very similar to the retail version, so read our 7 Wonders II DS review as you eagerly await our verdict on the DSiWare release. That's all for this week lads and lasses. What will you be buying? Let us know in our Facebook poll. Ehh, 3DS VC can be better imo this week. I mean Donkey Kong Jr. has been played to death by everyone. Then again, since Mega Man X2 is showing up on Wii VC , that more than makes up for it imo. D'OH HO, YOU MISSED THAT ONE. TRY ANOTHER. Anyway, there are NES games that I'd love to have on my 3DS. I bought Link's Awakening and Legend of Zelda 1 as a set. All ten Ambassador NES games will be available to purchase in the eShop eventually. Plus Ambassadors finally get save states for them. But no Zelda yet? ＠Bass_XO Plus more, don't forget that. Punch-Out wasn't part of the program. Wasn't expecting Donkey Kong Jr. I thought we would get Legend of Zelda first since Europe already has it and NA doesn't have it (at least for non ambassadors) yet, guess I will just upgrade Donkey Kong Jr. and check out the Spider-Man demo. Reviewed Link's Awakening I meant, sorry. Up to the customer to see what is crap or not. Yeah, I'm yearning for some portable NES Zelda, don't care if it's the original or Adventure of Link. Wish there was some way to go back in time and become an ambassador. I thought when they said we'd all "eventually" have the ambassador games that they meant "within the next year" at the very least. That's looking to not be the case. I don't get it. How hard could it be to release these already-exclusively-available games to the general masses? Oh Wario Land, where art thou? I don't really get what goes into their decision-making process as far as what gets chosen for eShop distribution either as far as Virtual Console goes. The last really good game we got was Kirby's Block Ball and even that wasn't really what I'd call a AAA must-have title or anything. Let's throw some big guns out, Nintendo. It's time. @Zach - Nintendo didn't develop Mad Dog McCree for the 3DS (although apparently they are publishing it) nor do they have anything to do with the release of Maru's Mission. If third party companies that aren't Nintendo want to release bad games, then thats their risk - not Nintendo's. @thefabfour64 lol people including myself are using that lately. @Bass.That's true but Nintendo IS running the risk of their e-shop becoming nothing more than GameStop (1 big hit in the midst of the dozens of shelf ware). On what? Nobody seems to be touching the mid-nineties for arcade games for release. I knew something was weird whenever Kid Icarus: Of Myths and Monsters didn't show up on the 3DS VC within the weeks preceding (or following!) Uprising's release. That would have been a brilliant move, considering that the NES Kid Icarus was a top-seller (unless that was due to Amazon pre-orders). KI:OMaM (what an acronym) was a really great game. Significantly better than the original, IMO. But that opportunity wasn't taken advantage of. I say it in EVERY Club Nintendo survey when asked what I think of the eShop and VC service: It's great, but it HAS to be more of a focus. A few standout titles have graced the eShop, but Nintendo could be shoveling this VC stuff out and making a killing. People will pay for this stuff. I mean it says something that I'm actually considering buying DK Jr., a game that would probably hold my interest for less than an hour. When I realize that the guys giving me DK Jr. could give me Mario Bros. 3 using the same system, it gets me a little bit down. Why release mediocrity when you could release the greats? So that the mediocrity sells while we're waiting for the greats. Good updates recently with lots of combinations. Let's hope they keep up the demo releases and Wii releases. Awesome! I'm getting MMX2 as soon as I can, which is this afternoon. That's one step closer to MMX3! Don't stop now, Capcom! And also, don't forget about MM6 and 7 while you're there! I want them! I want them all! Wow. Almost nobody is praising the fact that Mega Man X2 was released? Everyone shouts for Wii VC to not die and when it coughs up a last gasp, nobody cares? Sheesh. I'm getting the demo and that's it. Wii VC has been breathing latley, I just don't care for 3rd party games anymore though. (Unless they release Goemon's Great Adventure). Looking forward to Mega Man X2. I really loved the first one. A GBA title or two needs to be next on Nintendo's list. Oh, and release Kirby's Dream Land 2 to North America. Don't hold out for the anniversary collection. @LittleIrves I think a lot of people were just complaining about Wii VC just to have something to complain about, but in actuality, the Wii's on its last legs now and not many people are still playing/buying Wii Points now. 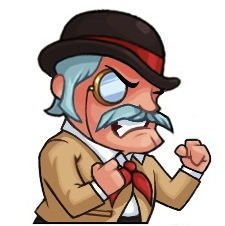 Stop offering my exclusive ambassador games to the common rabble, k thx. Highlight is definately VC on Wii, but that boats sailed for me. Mad Dog is hilariously bad, but not enough to pay much for. Lots of good LPs online too. It is possible that they don't want to sell a bunch of VC yet. VC games regularly get on the best seller list. If third parties release a game, Nintendo doesn't want to be competing with them and the third party doesn't want that either. VC will likely be released during weeks where they have nothing of interest (their standards, not yours because a lot of people here aren't interested in much of anything, it seems ). I'm sure we'll have plenty of VC by the time the successor to the 3DS is launched but I think that they want to get third party games out there if they have them. If you were a third party, would you be happy if Nintendo delayed your game a week or two to release a game they had already made years ago? Would you be happy if they released the VC game and your game at the same time and everybody bought the VC game instead? Not making every other developer in the world mad can be a bit higher in the priority list then Kirby's Brick Ball without a service being ruined. In my opinion, I guess. Either way, it is fair to me to admit that there isn't much for me this week other then the patch and maybe the demo. There are other games I want more then the games this week. Finally Mega Man X2, now we just need Mega Man X3 to complete the SNES trilogy. Some of my very favorite eShop purchases have been third party games. I can see where a third party might be frustrated by a simultaneous hot-shot VC release, but honestly I buy a game if it's good. These are small, downloadable purchases we're talking about, and I don't think the majority of buyers feels limited to "one a week" if enough quality is there to be had. 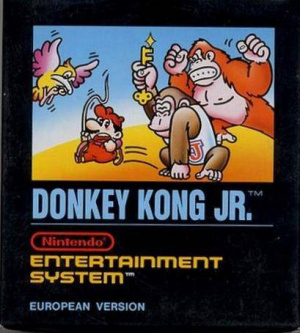 What I'm really disappointed in (and confused by) is why we get things like Donkey Kong Jr. and Radar Mission when both the NES and GB libraries are absolutely bursting with far more quality titles. Literally, Nintendo could easily fill a whole year or two with grade-A titles from those old systems, and that's before considering Game Gear. I have no complaint about eShop releases (the eShop has absolutely flourished in the past several months), but I do wish these VC releases would stop being so seemingly random. I don't want to just anticipate next week's 3DS Virtual Console release. I want to be able to anticipate next week's GOOD 3DS Virtual Console release. Though yes, X2 is an unquestionable highlight for anyone still buying Wii VC titles. At least now we can be confident that they'll transfer over to Wii U.
I just got a 3DS points cards yesterday. I was on the fence a bit, for possibly getting a Wii points card, instead. I can wait, for a friend to gift me X2 for my birthday. Getting the Megaman X series for Wii VC seems uncomfortably redundant to me. I've got Megaman X1-6 in the MMX Collection for GCN and that suits me just as well if not better, as it is still fully compatible for Wii. It's not like your virtual console is going to contribute any pros greater than the MMX collection unless you have a fetish for digital only content. There are good third party games on the Eshop. Lots of them. But the VC games still sell well regularly. I don't see why it has to be one a week either but I do see why they aren't releasing VC and third party 3DSware in the same week. There should be a more regular release schedule though. We should have dates before Thursday. I would think that you should be able to see the release dates for the entire month. @Marioman64 Slitherlink has been set for next week for awhile now and Im not sure when Akari is coming out. Maddog, that wii VC game and the demo just seem terrible. I love DK Jr though, so I will update it. Next week wario land or KI2 better come, as EU recieves mutant mudds that week. still no Wario Land? I'm boycotting. I'm not gonna buy anything until they release Wario Land or Zelda nes. Or Johnny Kung-Fu,or Unchained Blades.. But not for a F'n 3DO game! That nobody liked in the first place. Come on NoA, you can do it. My money's on reserve for you guys all you have to do is give us what we want! Yeah, I'm not sure why a tentative release schedule isn't more readily available. It seems like the publicity would do the titles good. As much as I like the pleasant surprises Thursdays have come to give me from time to time, I'd be just as well off looking forward to things already announced. @Zach777 You know those third parties are the ones to blame for those bad games like maru mission, right? Blame hanster for that, not nintendo for putting that game up. And there really is no reason to get mad over wario land in NA until next week, wjen EU is caught up. Anyone know if there's any games in the COMING SOON? @TheDreamingHawk Did you just say Mega Man X2 was terrible? Because I certainly hope not. An interesting lineup to be sure. I'll be checking out Spidey, and Possibly Mega Man X. Got Donley Kong Jr. already as an ambassador, so I'm good. Not really interested in MMX2 since I bought the cartridge a few months ago. I wish they would hurry up and bring out SML3: Warioland but if it doesnt come out here soon for Eshop I just might have to go the eBay route. I had Donkey Kong Jr. for the e-reader xD Now those were the days. .... Oh look! A demo! @Mickeymac Not shovelware like the other games on the update, as it actually has fun value, but it doesn't really have that magic the NES MM games and the first X game had. I'm just waiting for 6,7, and X3. Still a fun game to put on the wii VC during it's shortage. WARNING: DO NOT BUY DKJR YET! When I went to update, the update wasn't on the shop. Buying it now will just get you the ambassador version until it's updated to the newer restore point version. @grumblebuzzz Well I can't speak for anyone else, but I don't complain about the lack of new releases on the Wii Shop Channel just to complain. There are still a ton of classic console games that have yet to appear on the Wii's Virtual Console as well as some announced WiiWare titles that haven't been officially cancelled but seem to have dropped off the face of the earth. @BONHOMME-7HEURE Congratulations, sir! You are the first to acknowledge Mega Man! Shame on the rest of you for complaining about what they didn't release. Donkey Kong Jr. and Mega Man X2, games that should have been released long ago since their counterparts were released long ago? I've seen all 3 Mad Dog games new on PC for $3.00. And the Wii collection is $13. The fact that it becomes a simple touch screen game for $8 is rediculous. I DEMAND new trading cards which let you scan the card which will give you a NES game download. E-Reader 2, baby! "music-themed take on the Plants vs. Zombies formula"
Me= oh that sounds interesting. Didn't they just do a bad music game not long ago? Anyway I'm at least happy to see some ambassador games come to eShop. I was jealous of a couple of my friend's games. At least we got X2. Save states are the best for arcade games. You can actually see the entire game before you start just playing as far as you can in order to get a high score. You don't use them forever but you can use them to just have fun. I gotta say, I really enjoyed the Spider-Man demo. I wasn't really considering getting the game, but now I am, though now I'd like to try some home console versions too. As an ambassador, whenever the NES games arrived for sale on the eShop (SMB, Metroid), there would be an update for the specific title that would allow restore points that wasn't previously available. This time around, there wasn't any update for Donkey Kong Jr. when I went into the eShop. Wondering if this is just me experiencing this or are they not offering updates any longer? @idork99 I think it's just a glitch or something. Like how the Mighty Switch Force update was a little late. Glad that there are Wii & 3DS VC offerings, but nothing for me since I have MMX2 and DK Jr. (for NES and Ambassador). STILL waiting for Super Mario Land 3 and Kid Icarus: Of Myths and Monsters. Maybe about the time I give up and buy them used on Amazon, they'll come out (like in 2013 or something). And I'm also unable to update DK Jr. What gives? Ambassadors are supposed to get the updated versions! I'm glad they're adding more NES titles to the 3DS VC. I'm waiting for LoZ and AoL. Looks like a good week overall, I'll definitely be downloading the Spidey demo. I'll get the Spider-Man demo. Although the pickings aren't high quality, think about this. We get 3DSWare, 3DS VC, and Demo in the same update. things are looking bright for the future. Nothing for me this week, though McCree is tempting (Shut up, I have a soft spot for FMV games) and I'd grab X2 if I had a Wii on me. Still waiting on the DKJR update, not like I'll bother much with it anyway though. DKjr doesn't update, unfortunately. I even redownloaded it. So far, I'm very disappointed with Nintendo's lack of original eShop titles. We got Pushmo, maybe another game. Thats it so far. Nothings been announced. With DSiWare, Nintendo released many games, many of which were very high quality. The demo was fun,i don't really know if i should buy it though,i'll wait for NL's review. Still waiting for SNES 3DS downloadables. No Wii= sadness. 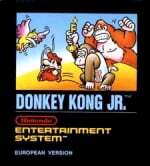 Why is there NO update for Donkey Kong Jr.? Did Amazing Spider-Man DEMO crash anyone else's 3DS system? I've already encountered 5 seperate glitches!!! got dkj many hours ago,started playing a sec ago and no tv/restore points(meaning it looks like ambassador)...IM ABIT AMBASSADOR! Finally more Ambassador games. Hurry up and finish off those NES games, Nintendo. I need restore points in Wrecking Crew ASAP. WTF? it wont let me update my DK junior (ambassador). help? @EmpireIndustries, Nintendo made Freakyforms, Pushmo, Sakura Samurai, Dillon's Rolling Western, and Ketzal's Corridors. All of which are generally well liked, or even praised. I'd say they have a pretty good eShop record (and of course there's the upcoming Pokemon Dream Radar, and Pokedex Pro). @NateNate You can say that for the DS, or the Xbox 360. Those are both amazing systems despite the shovelware. Just ignore the crap and focus on the good games. There is NO upgrade for it. WTF? why would you mad dog mcree on there instead of johnny kung fu? @NateNate They are denied for proper reasons you know. BOI Was denied NOT because of it being offensive to children, but because of religous content that could offend people of ANY age. As for the games on the eshop, it's not nintendo's fault for putting up a third party game they have no control over. They put out games from them like they did with DK JR, so they do care about the eshop. No reason to complain about it. Nothing, although may download the Spider Man demo. Don´t worry, DK Jr is in wii too. WHAT? NO UPDATE?! I WANT A REFUND!! GIMME ALL $249.99 I PAID FOR!! @dark-insanity we shouldn't have to deal with nintendo's... remember? its just like ALL THOSE DOG-GONNED DELAYS. WHAAAA?!?! No Heroes of Ruin Demo?! NoA, GIVE ME MY HoR DEMO! The Amazing Spider-Man Demo was terrible. I want the old TMNT GB games in the VC! Time to take this to boot hill!